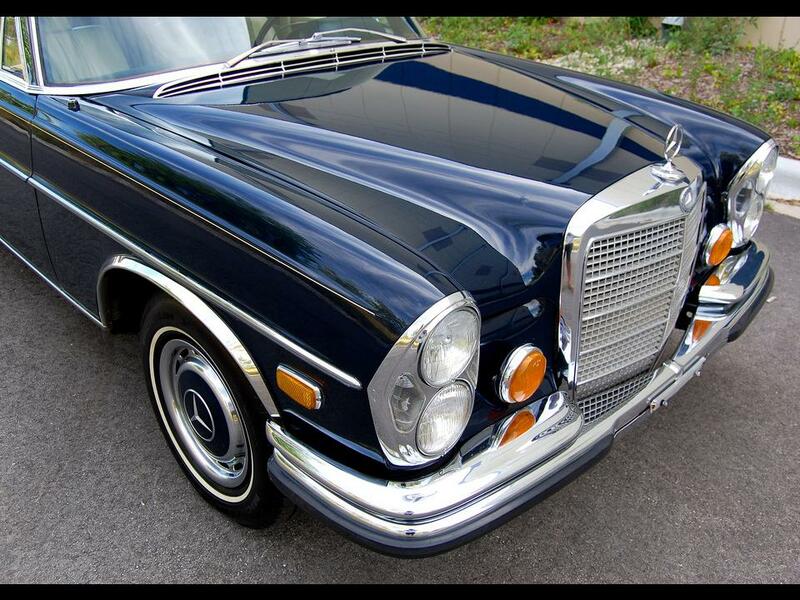 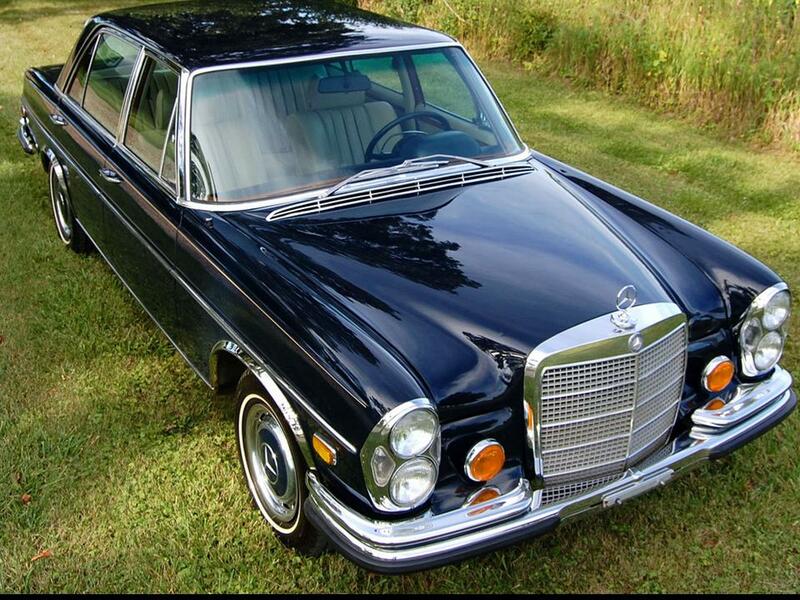 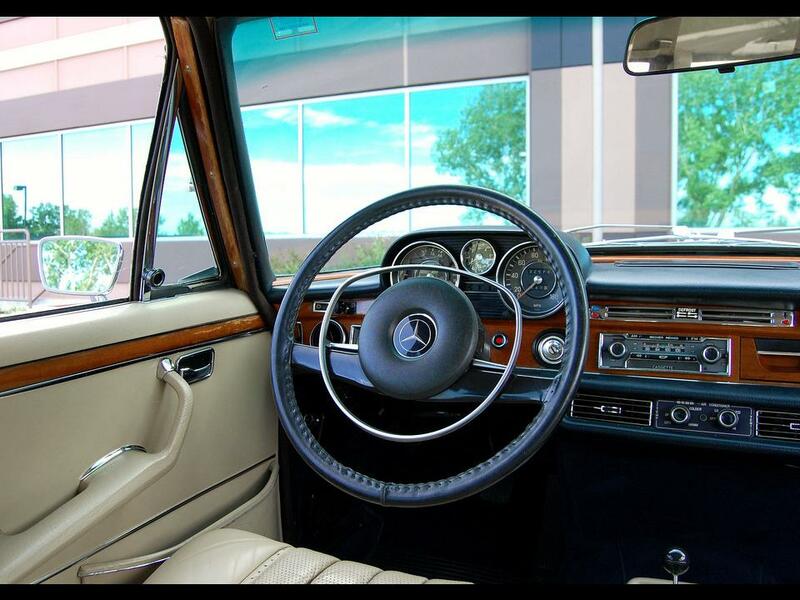 The Mercedes-Benz 300 SEL 6.3 and the Mercedes-Benz 6.9 were my all-time favorites from the Benz garage. 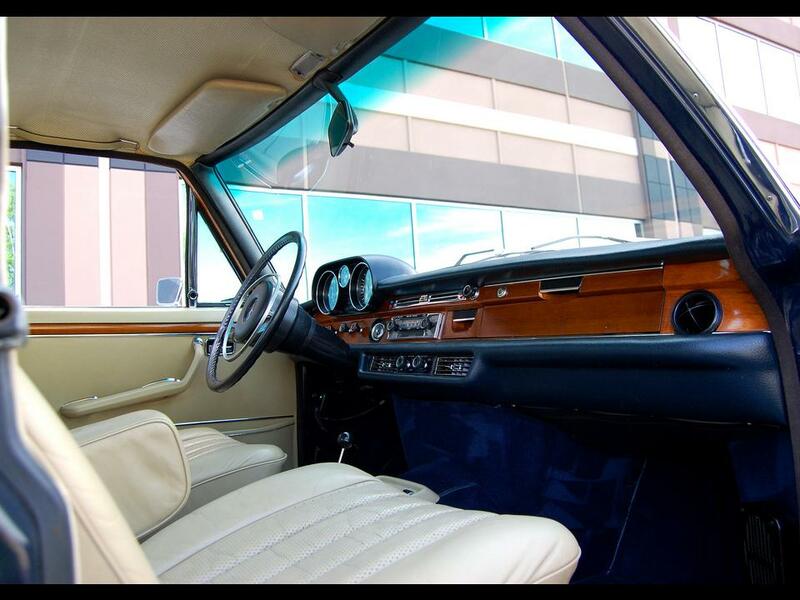 These are two of the rarest and the fastest saloons in the world. 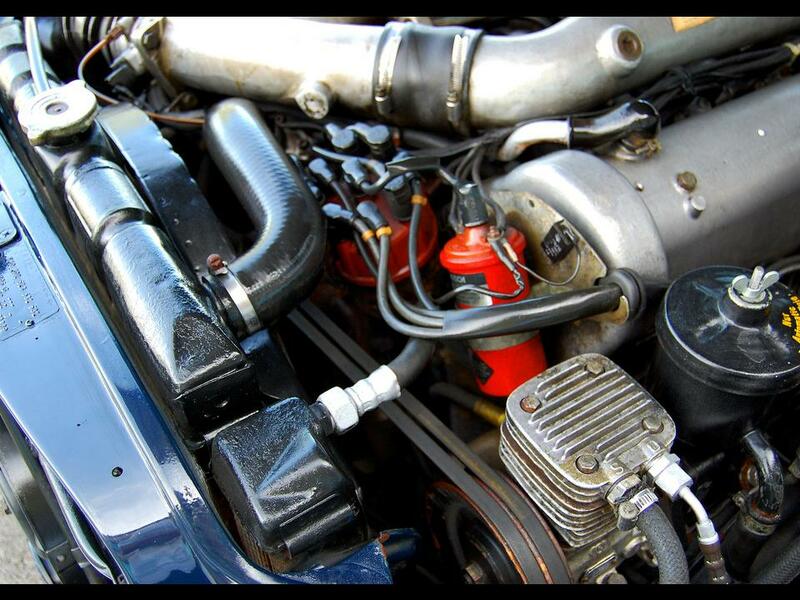 The 6.9 surprisingly requires less maintenance than the 6.3, it is also cheaper to service than the 6.3. 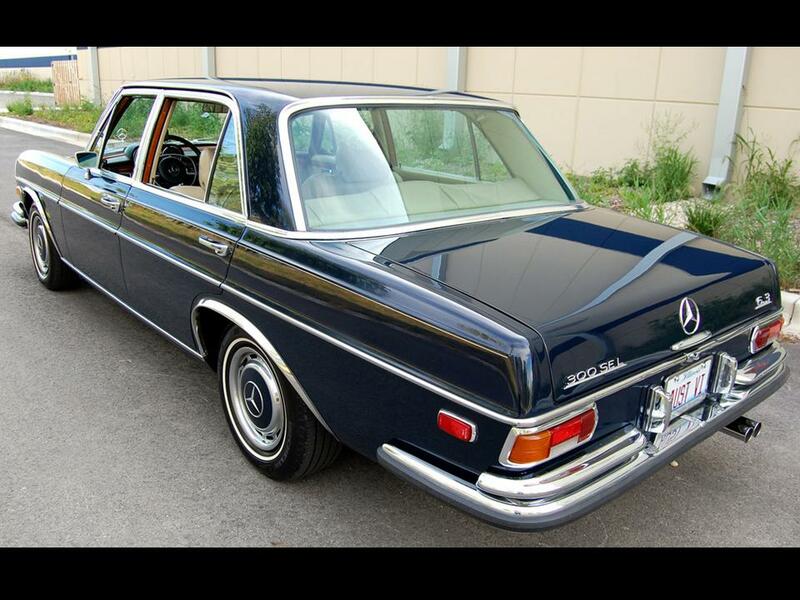 But that 300 SEL 6.3 was and is still awesome. 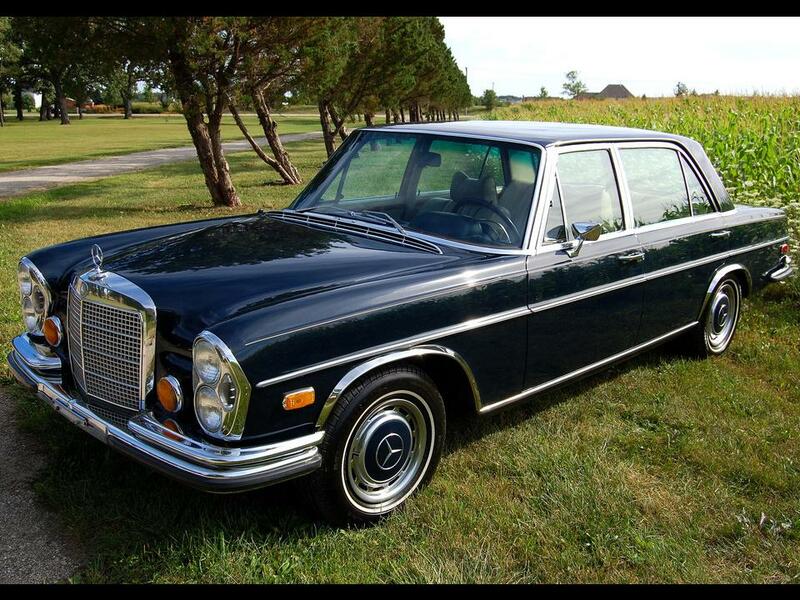 Now mind you, the 6.3 was in the home stretch kickin’ up dust when all of the others in its class were still 6-cylinder models. 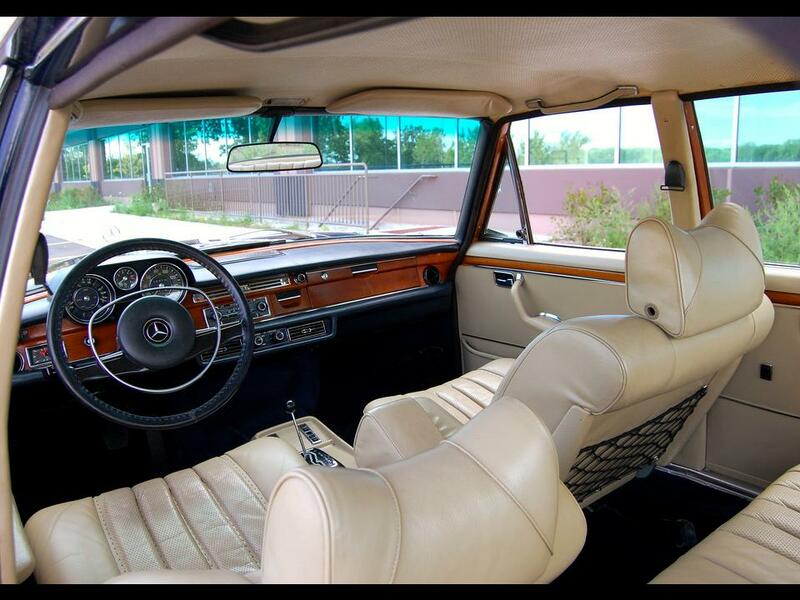 It was nicknamed “The executive road racer.” The star of the show was the famous M100 6.3 litre V8 engine plucked from the engine bay of the Mercedes-Benz 600 Pullman limousine – only 6,500 were built. 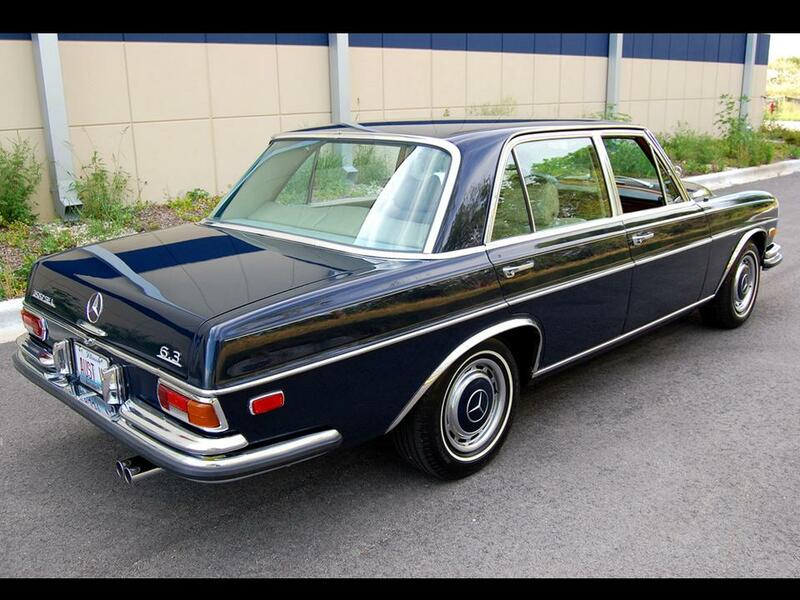 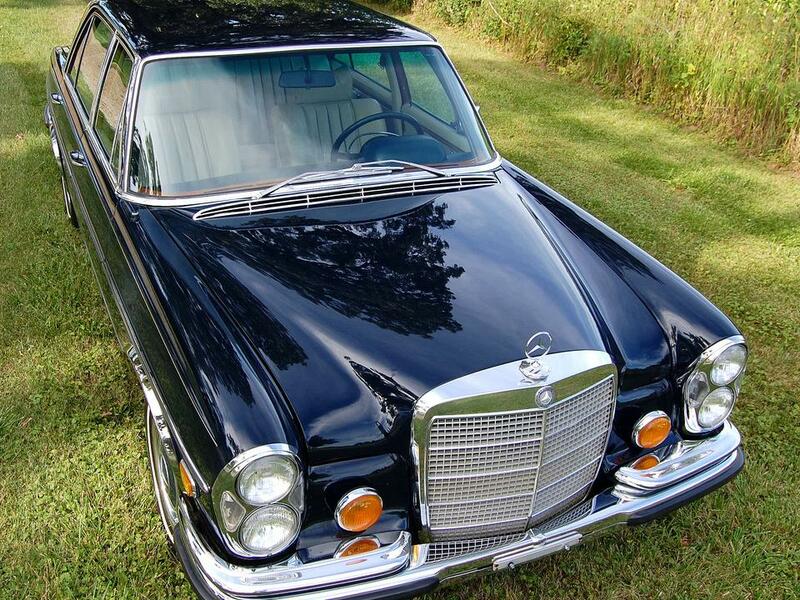 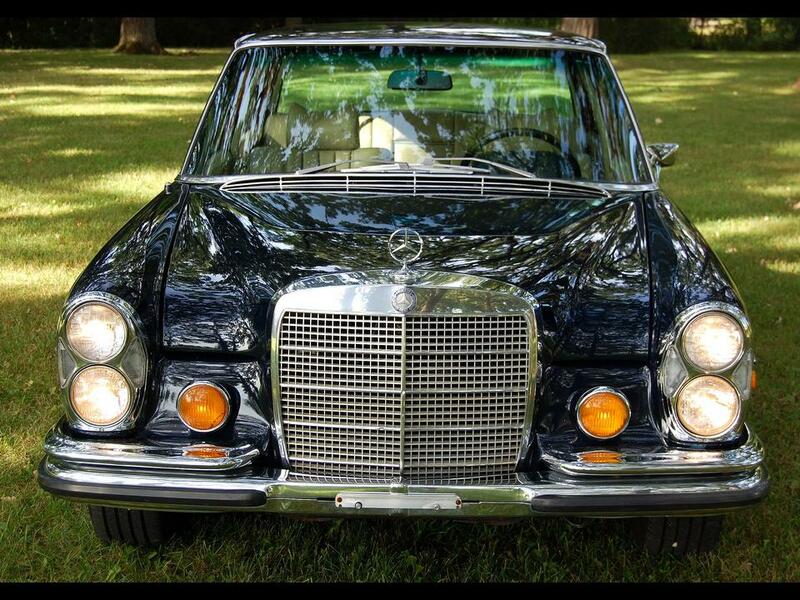 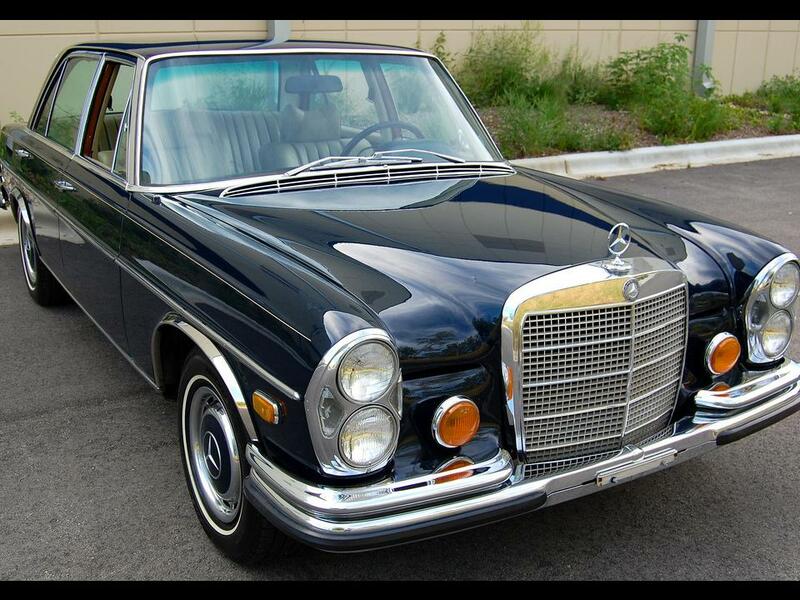 This is a highly collectible Mercedes-Benz saloon. 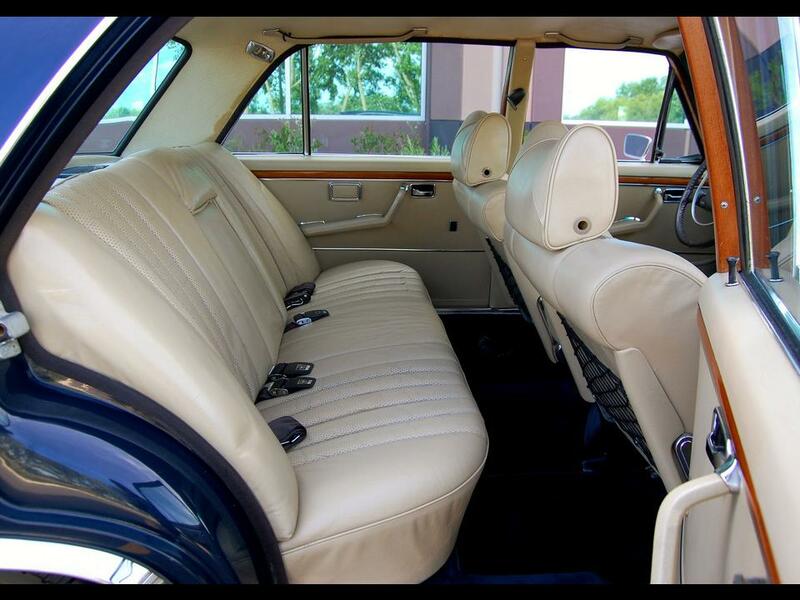 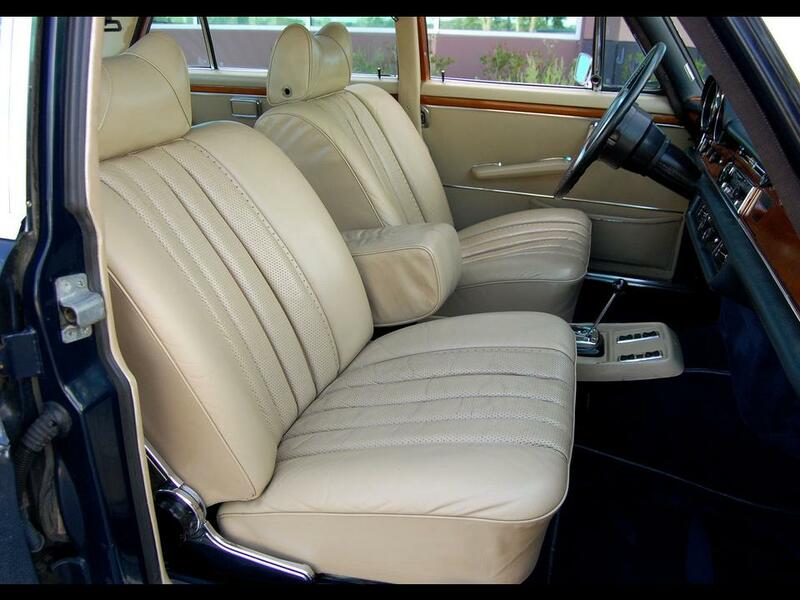 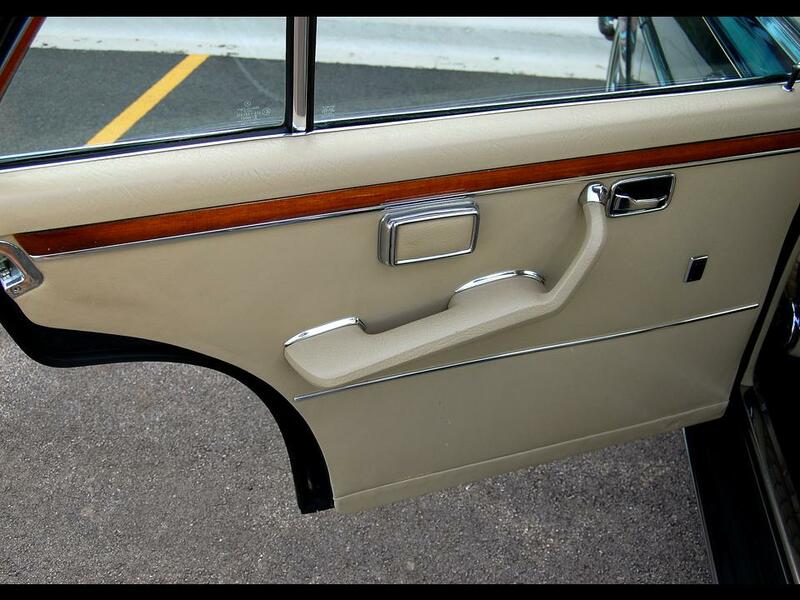 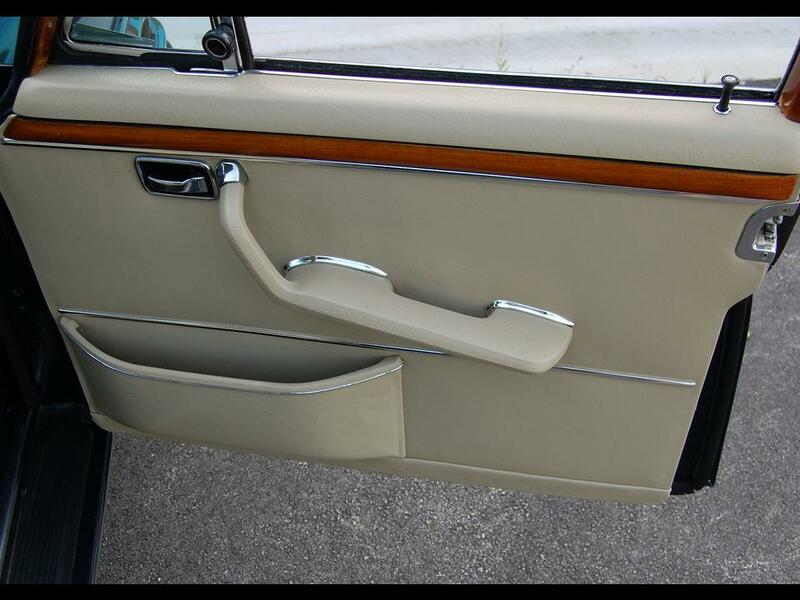 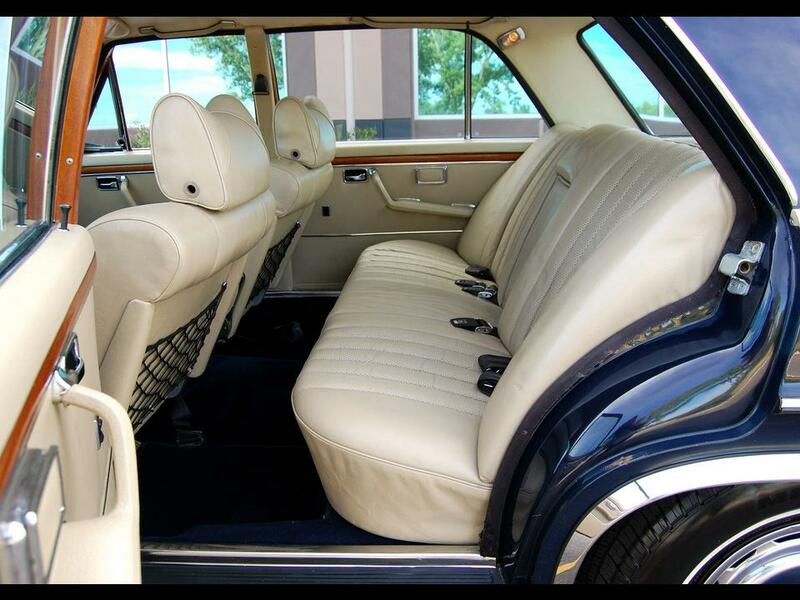 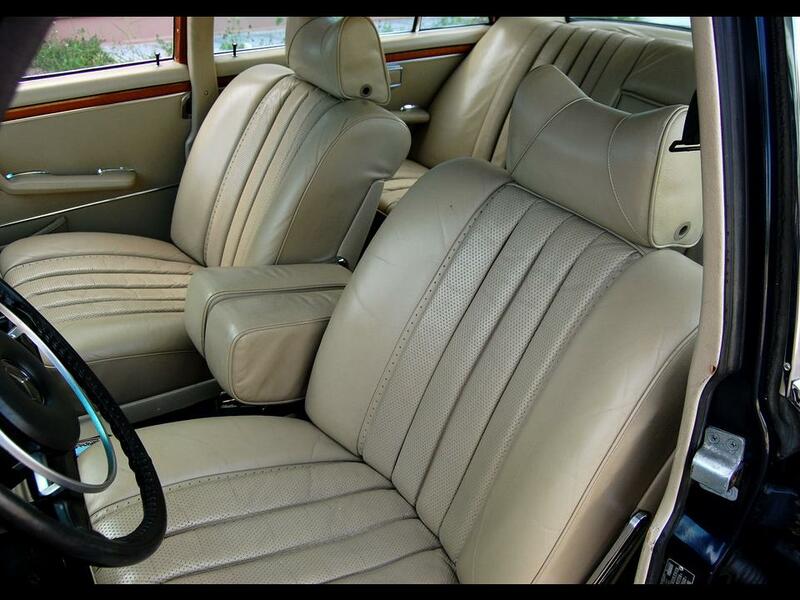 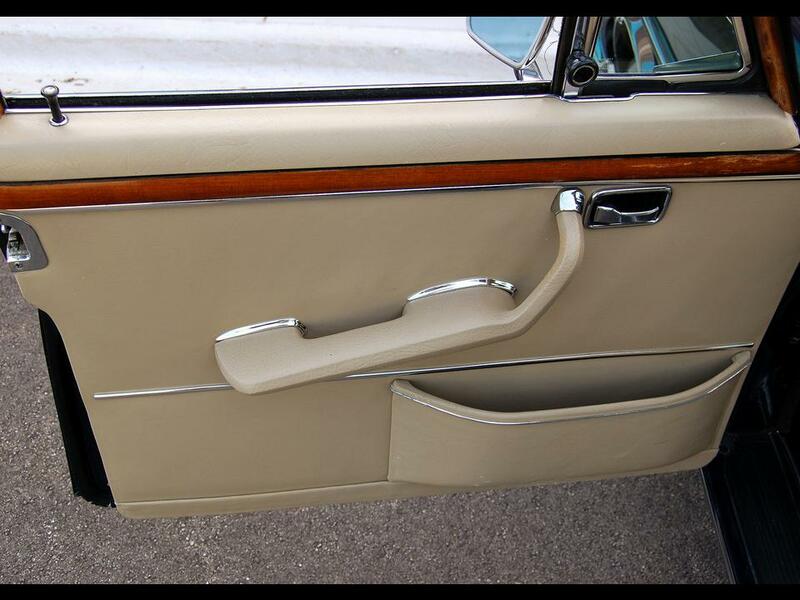 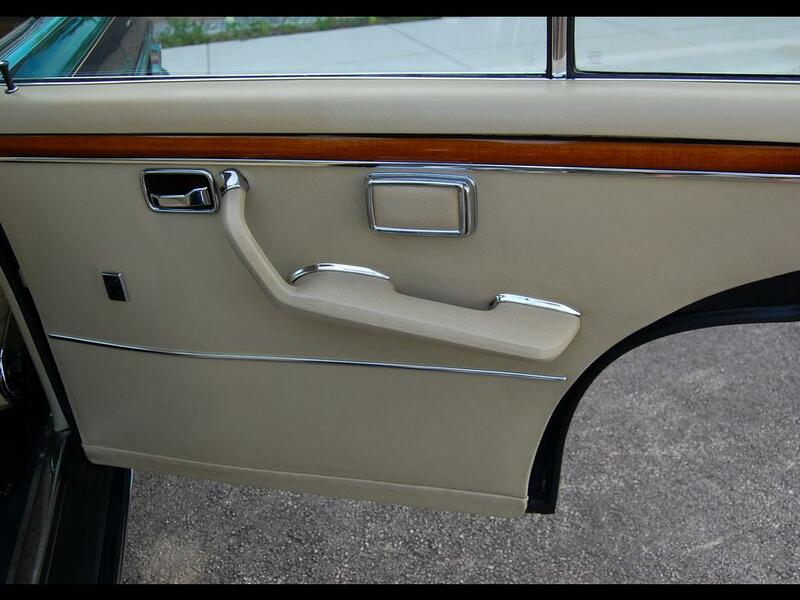 If you have ever seen a 600 Pullman in person, it is intimidating because of its humongous stature. 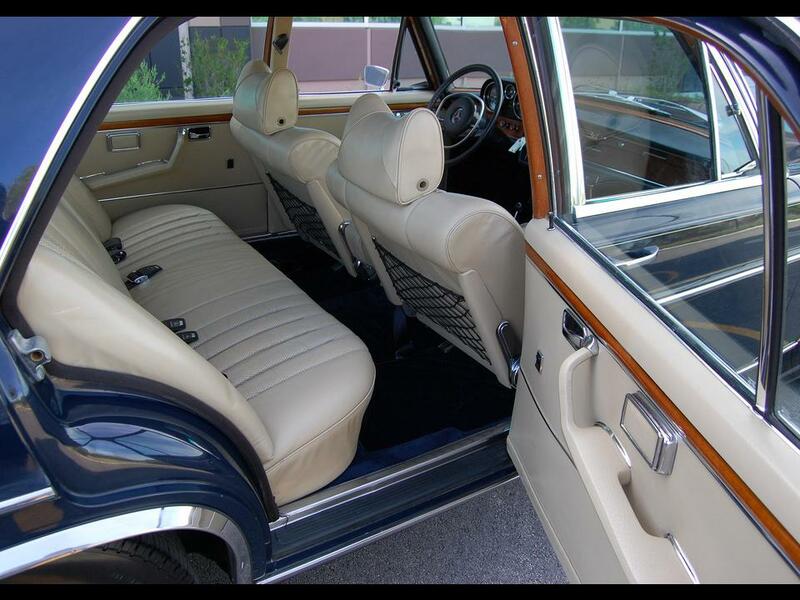 It was a factory custom hand-built limo. 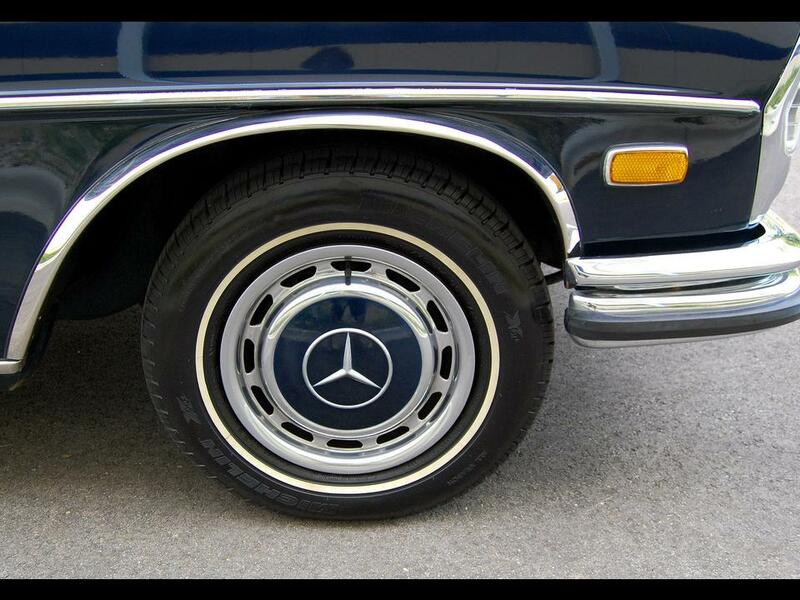 Now think about the capability of its M100 engine, designed to propel all of that metal with aplomb! 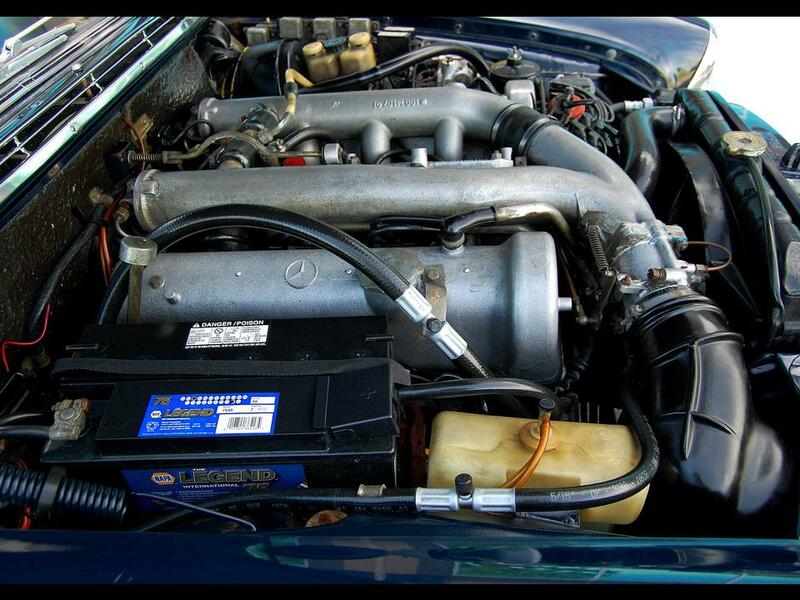 That 6.3 litre V8 engine is strong and versatile; it lives forever with the proper care and maintenance. 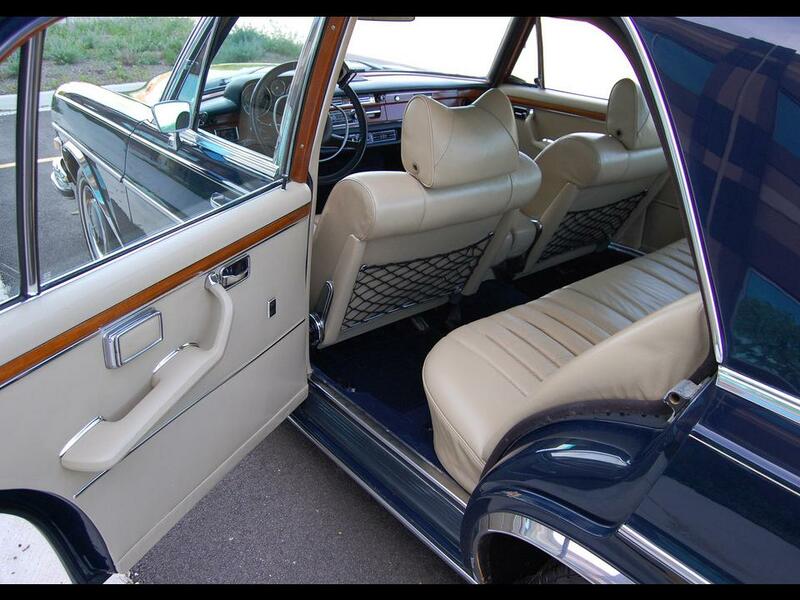 So how did such a large power plant find its way into such a “plain-Jane” saloon? 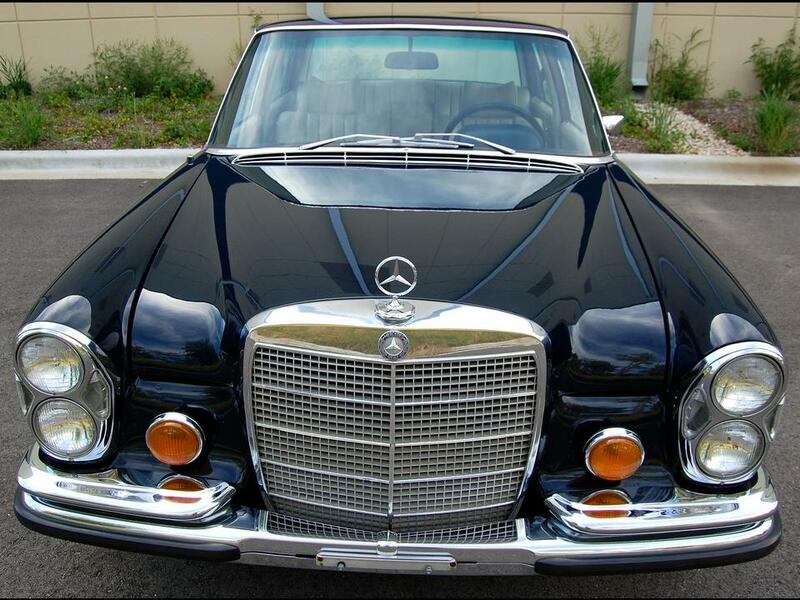 The Mercedes-Benz 300 SEL 6.3 was the world’s first “super-saloon” (I know that is a bit dramatic and brings to mind the W109 saloon with a cape leaping tall buildings with a single bound…). 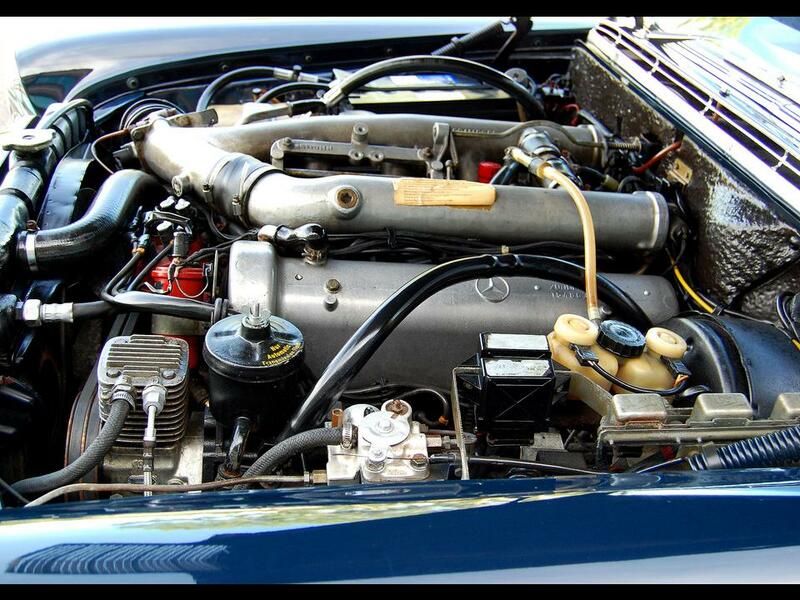 In 1966 Erich Waxenberger, company engineer for Mercedes-Benz took the powerful M100 6.3 litre V8 engine out of the 600 Pullman and fit it into the Mercedes-Benz W109 S-Class saloon. 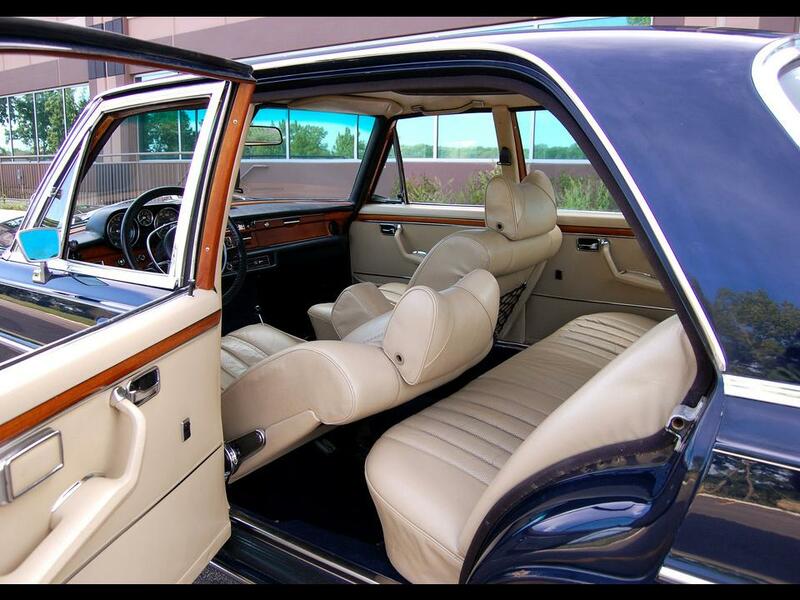 It was actually more cost efficient to market the engine in the 300 SEL rather than installing it into the 600 Pullman which had a low sales volume. 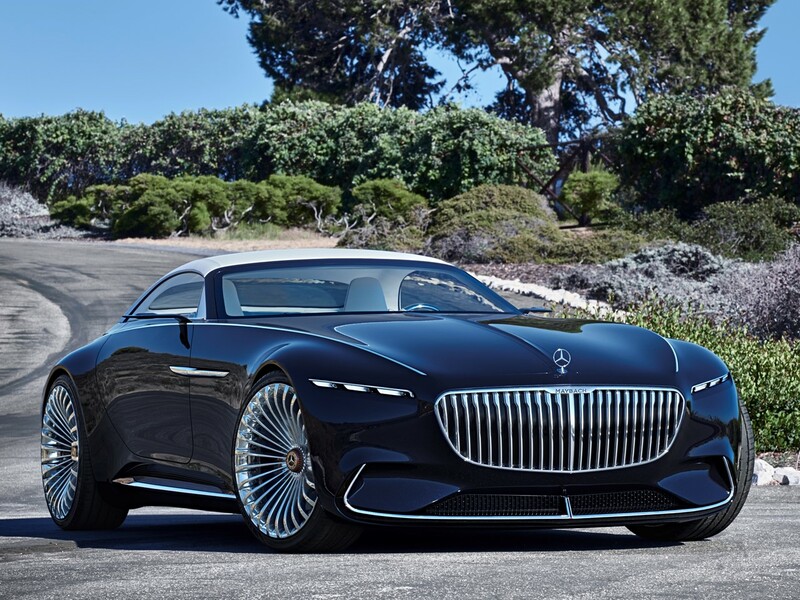 The end result was a two-ton saloon with the legs of a sports car. 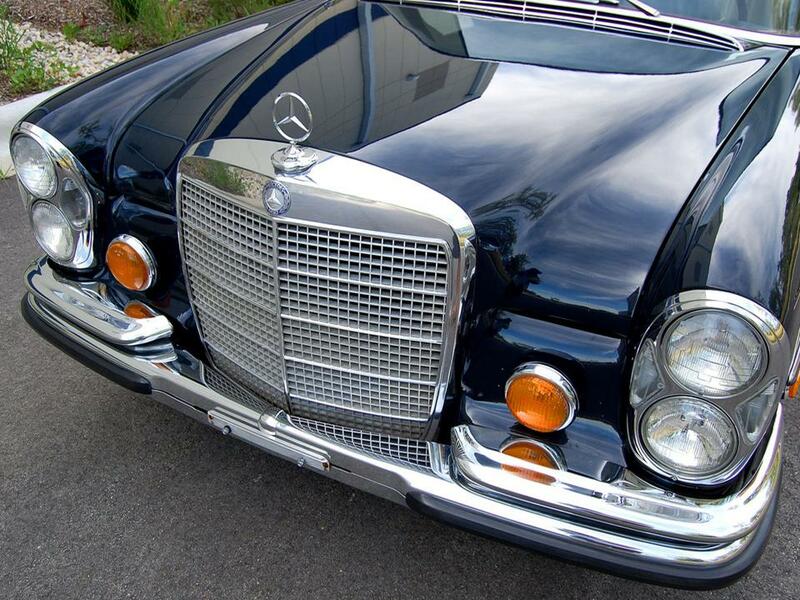 It was launched at the Geneva Motor Show in 1968. 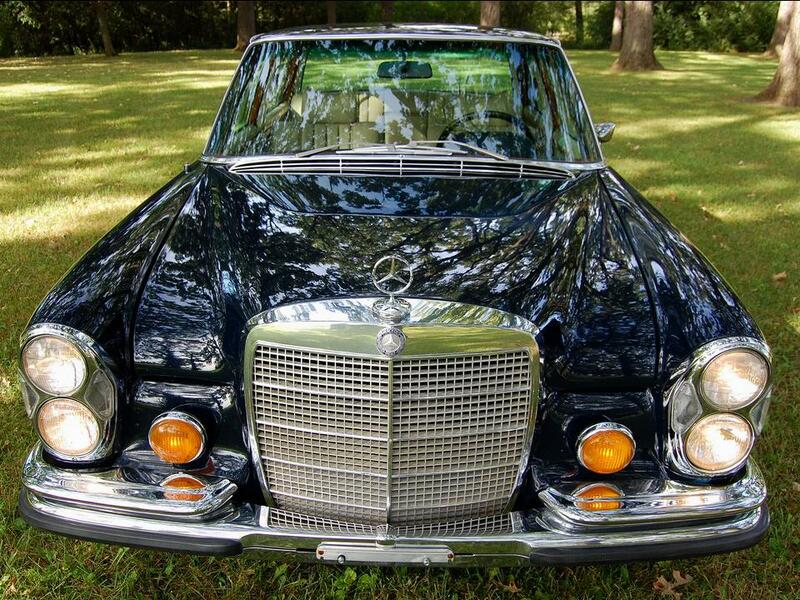 Only one prototype was built in 1967. 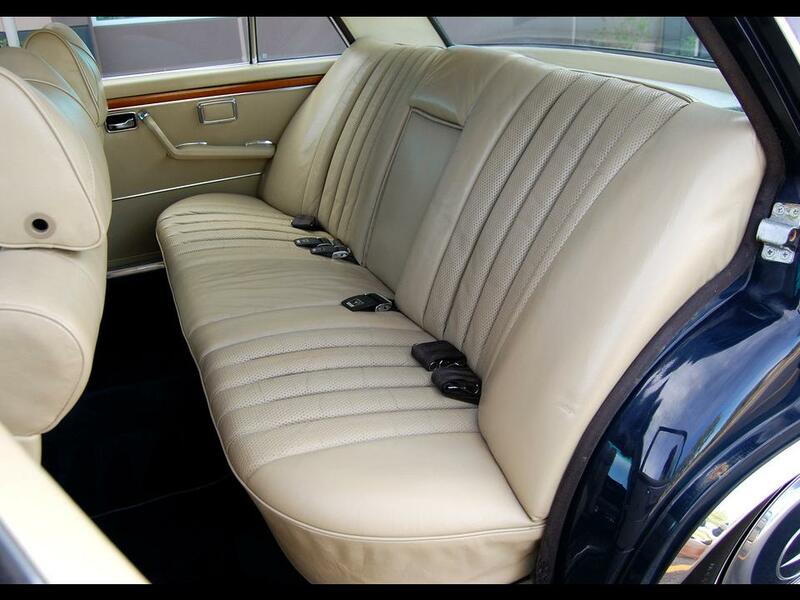 This is one swift saloon that cossets five occupants in limousine style comfort but with the effervescence of a sporting grand tourer. 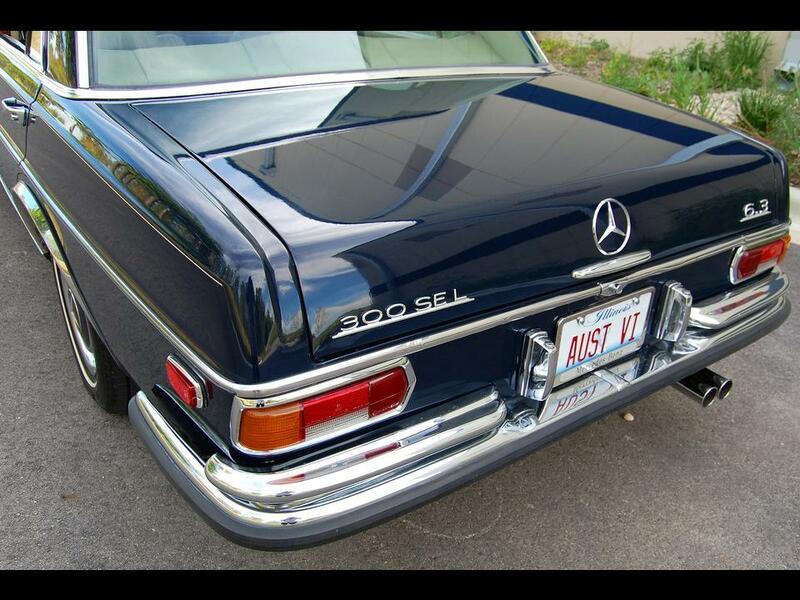 The 300 SEL 6.3 was built from 1968-1972. 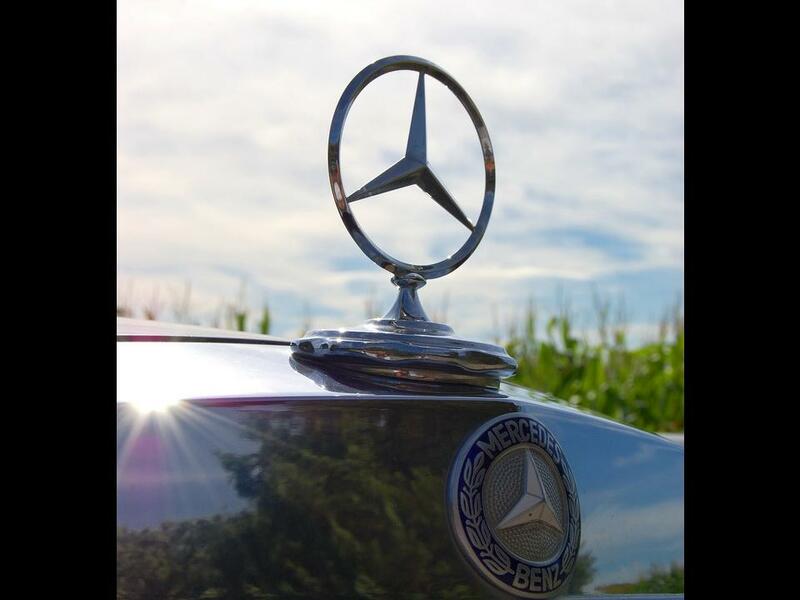 Production totaled 6,526 units. 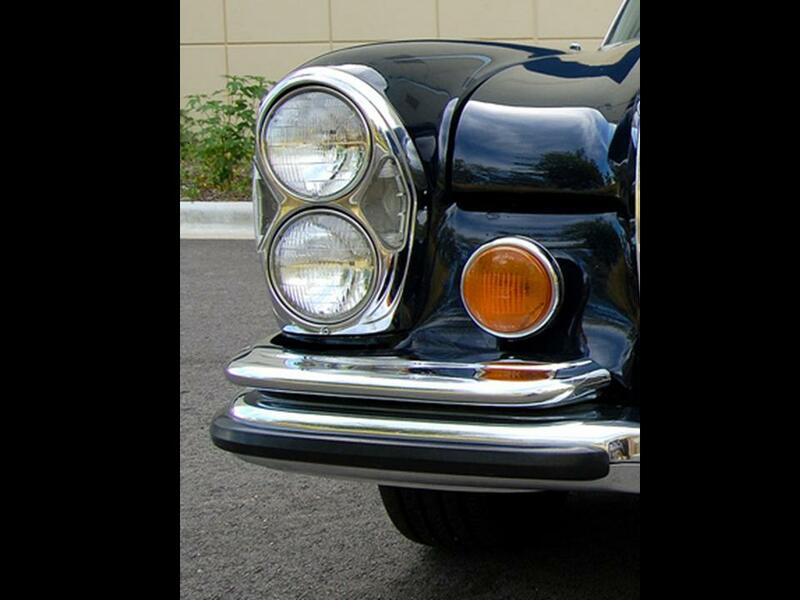 It was the first Mercedes-Benz “Q” car. 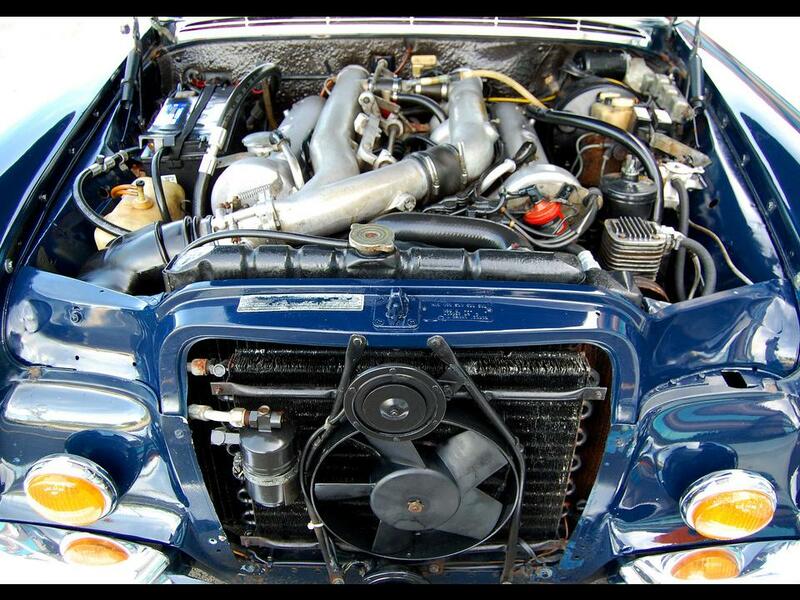 A potent 6.3 litre SOHC V8 powered this luxury behemoth. 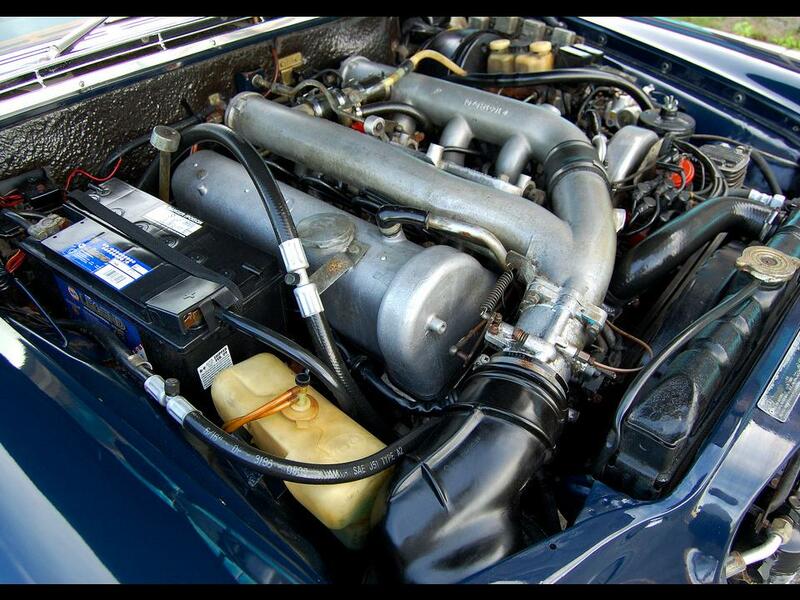 This is the classic example of a big-block engine planted into a conservative saloon creating a high-performance rocket. 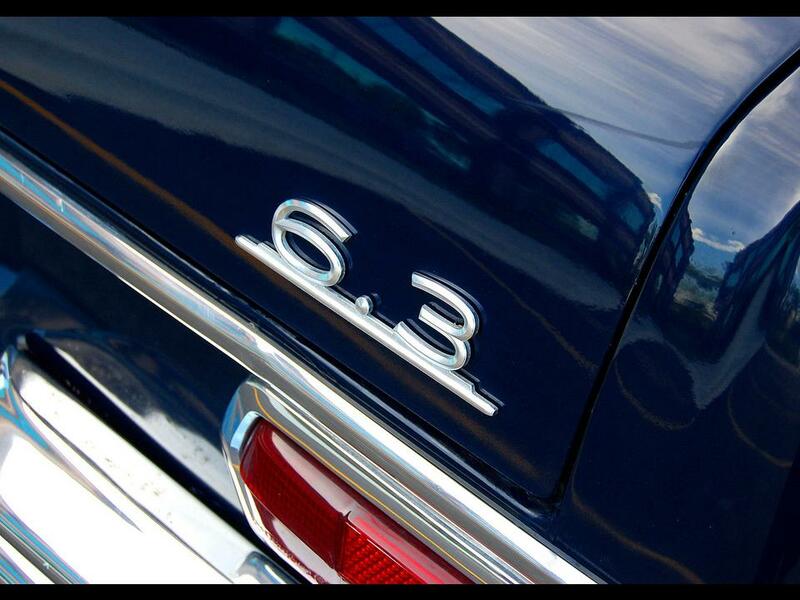 The concept could be compared to the Chevy Bel Air or Dodge 330 with their big—block V8 engine set-ups. 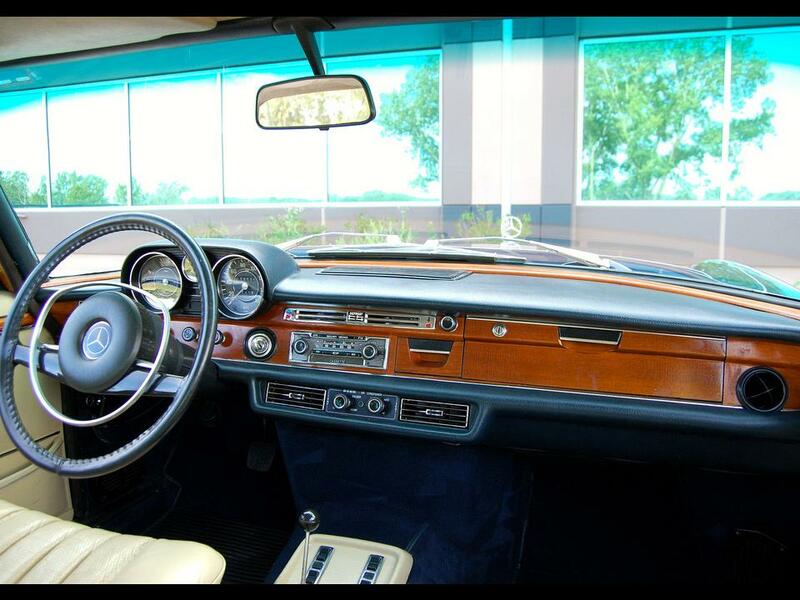 Grocery getters that packed a punch were these two American muscle cars. 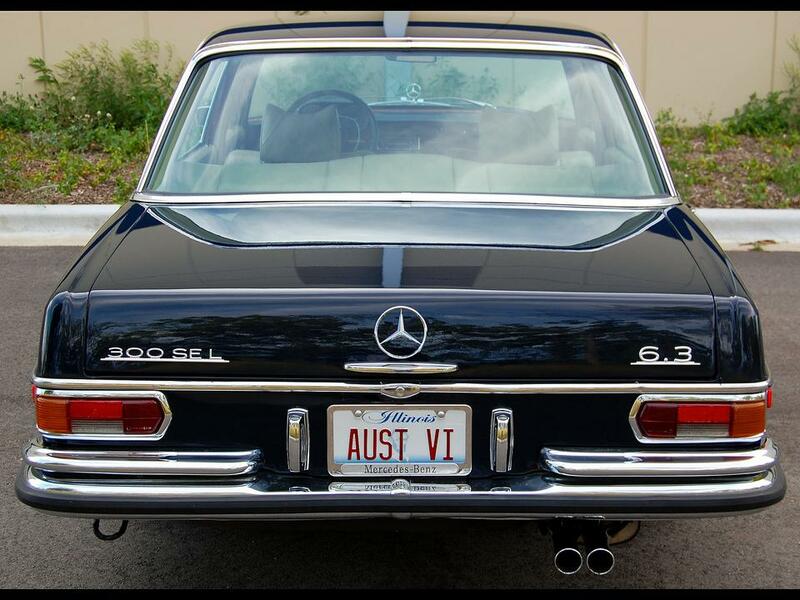 The 300 SEL 6.3 went from 0-60 in less than seven seconds, with a top speed of 135-143 mph. 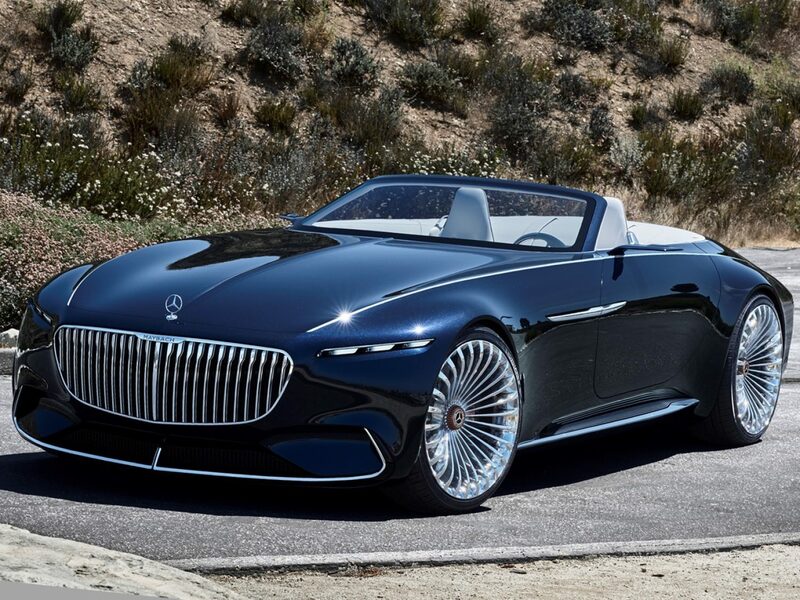 This saloon could pace at 120 mph on the autobahn for hours with power to spare. 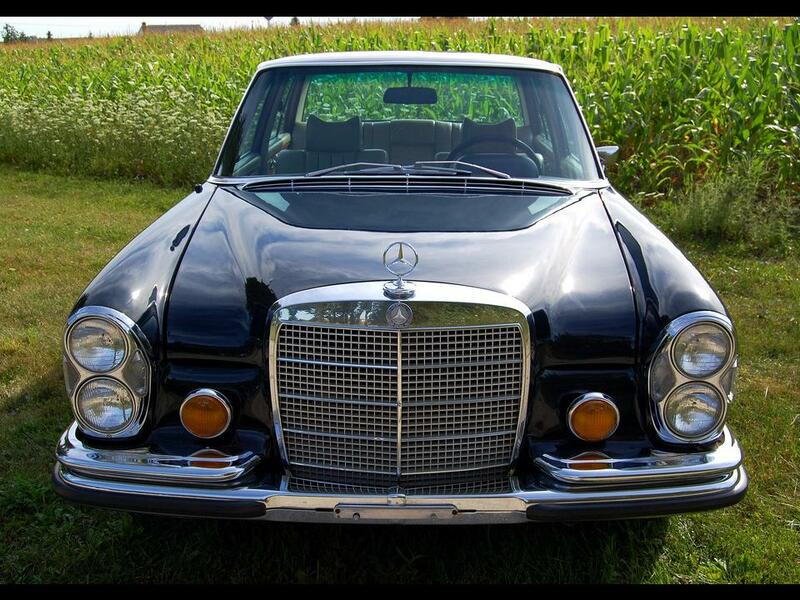 The 300 SEL 6.3 was the fastest production four-door saloon in the world at the time. 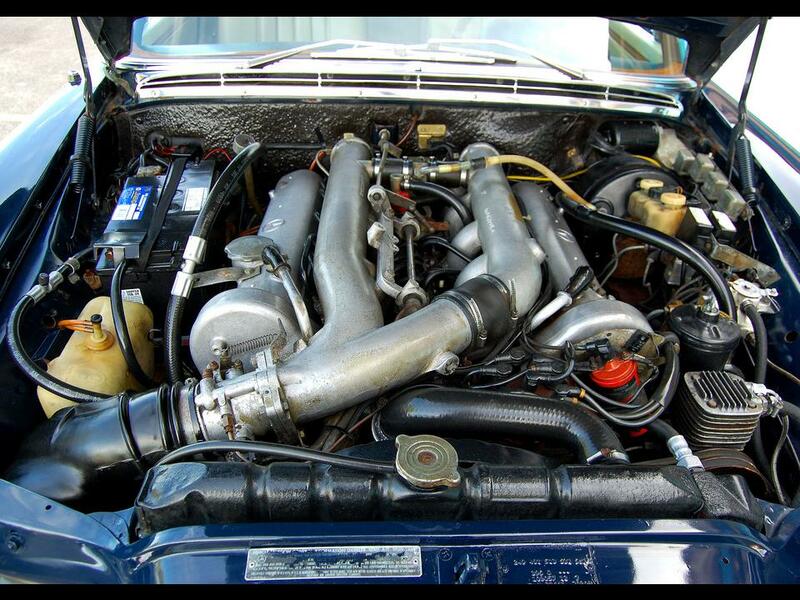 This M100 power plant delivered 250 hp @ 4,000 rpm with 500 Nm of torque @ 2,800 rpm. 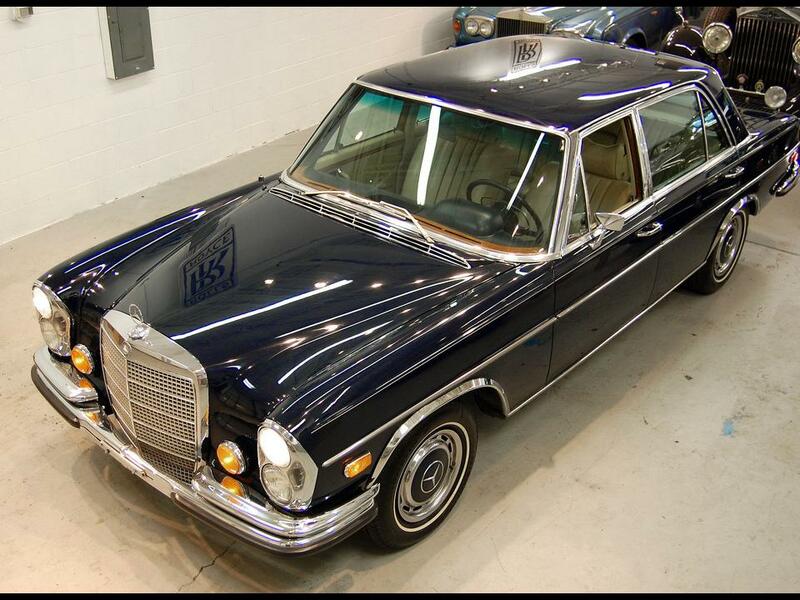 It used a Bosch fuel injection system and a 4-speed automatic transmission. 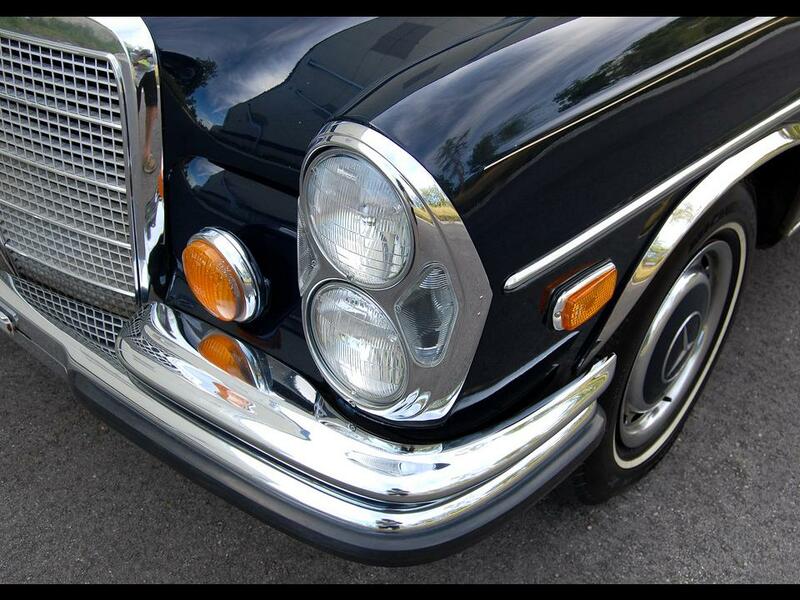 The Mercedes-Benz 300 SEL 6.3 was a fire-breathing dragon disguised as a plain-Jane saloon. 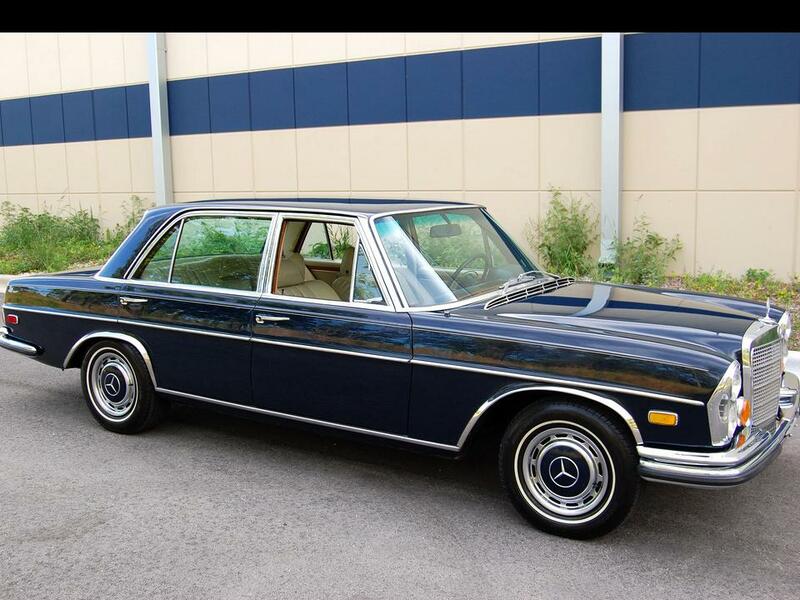 It was the fastest production four-door available at the time. 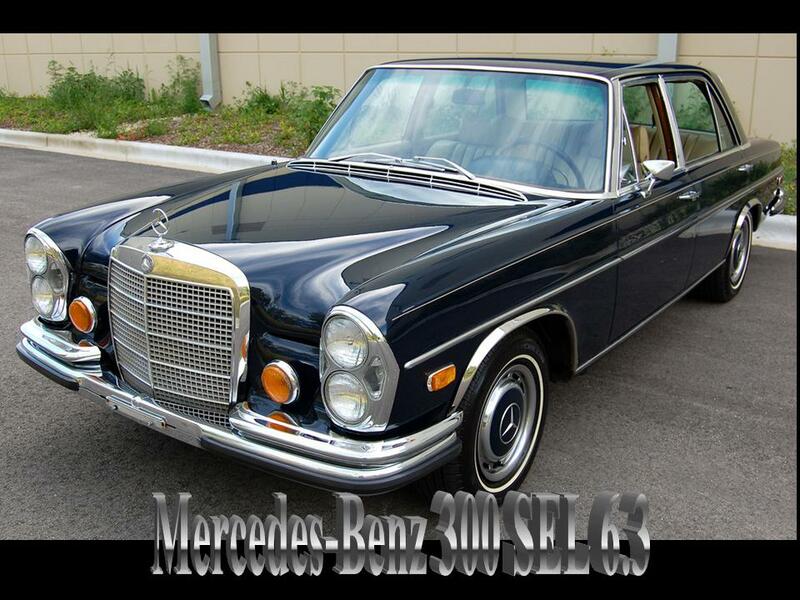 The SEL was the long wheelbase variant of the 300 S/SE. 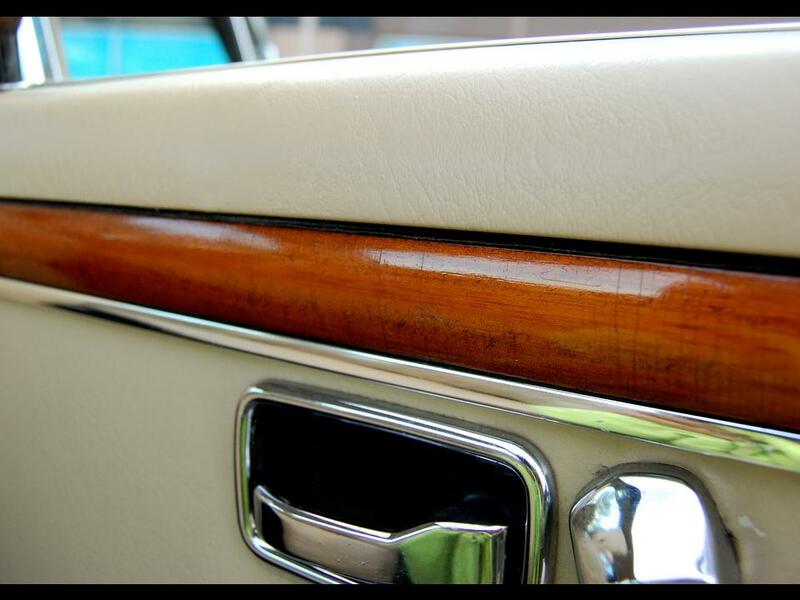 It was the flagship that boasted performance and they meant it! 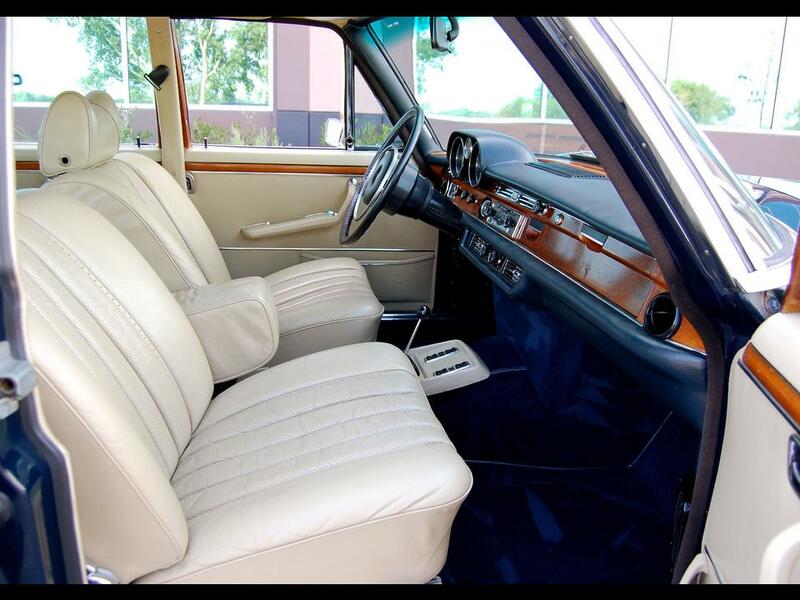 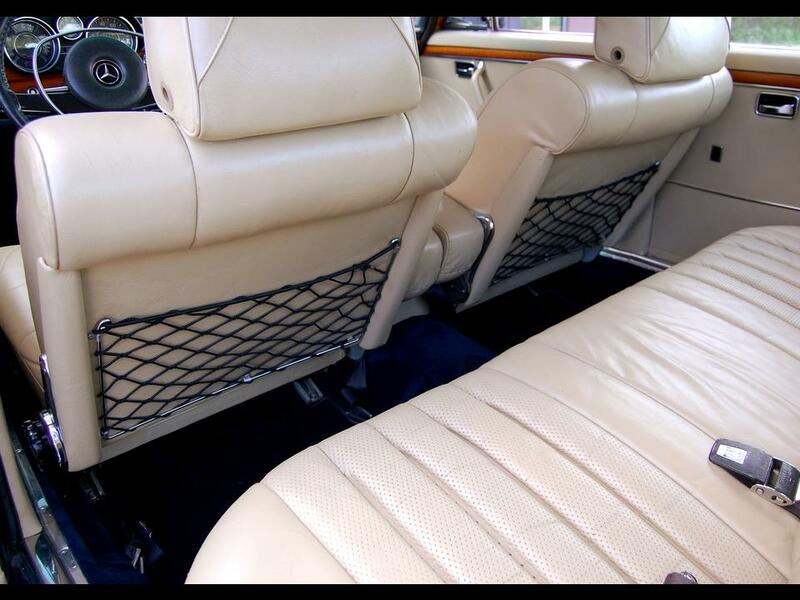 It had a touring suspension with a luxury sport leather trimmed cabin. 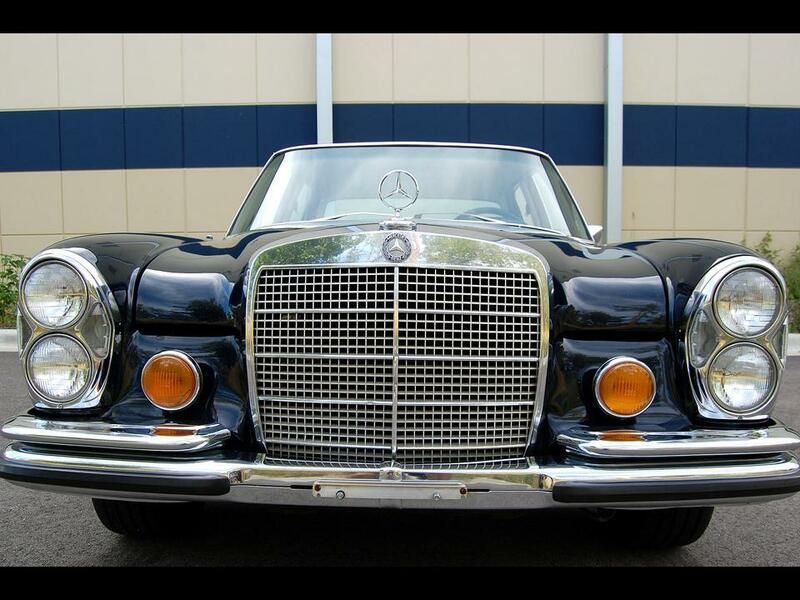 This model is a highly sought after collectible with only 6,526 built. 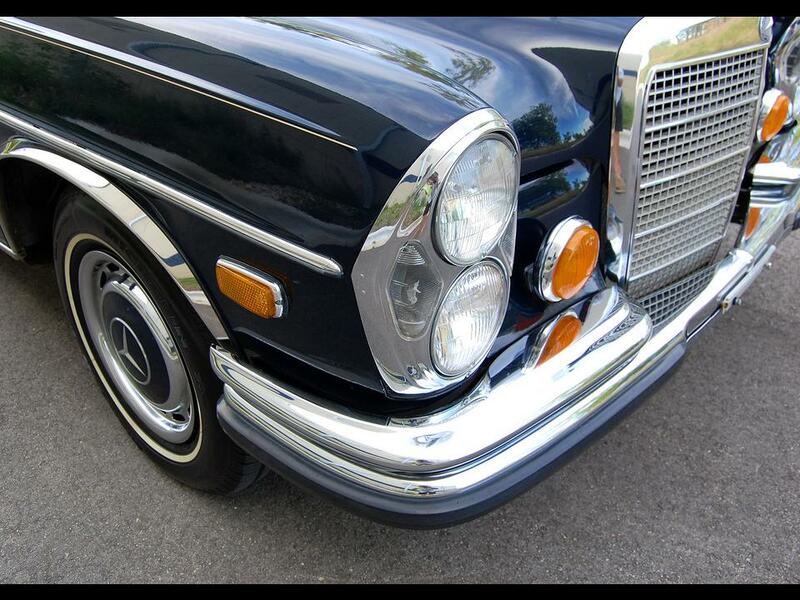 They are outrageously expensive to maintain but so satisfying to own and drive.